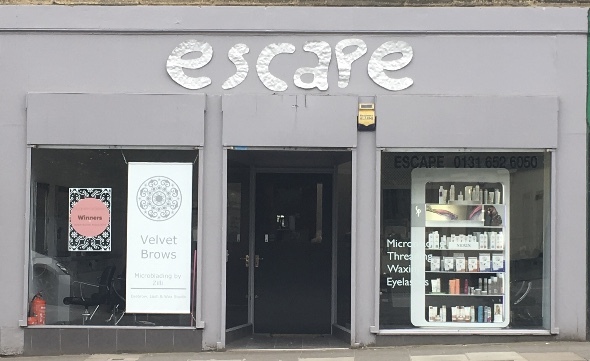 The Escape salon opened up in 2001 with a very small clientele. Over the years we have worked hard to build up a good, strong relationship with our clients and this continues to grow each day. 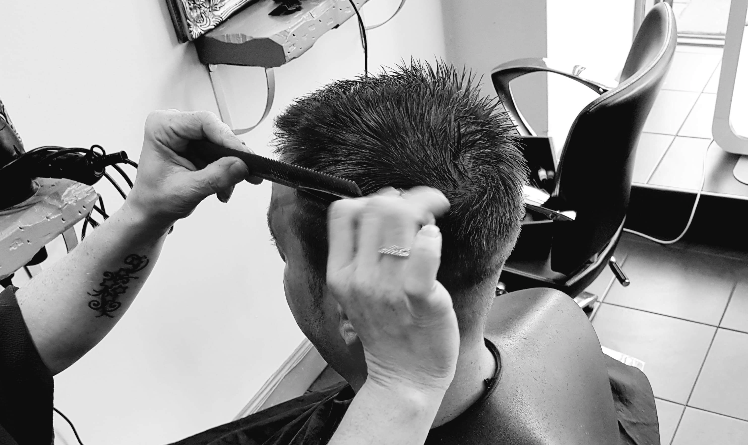 We are a small expertly trained team of stylists, waiting to turn your dream hairstyle into a reality, anything from a simple cut to creating a brand new modern image. All of our specialists will listen and provide expert advice on exactly the right look for you, and we only use the latest market-leading Wella colouring and styling products. 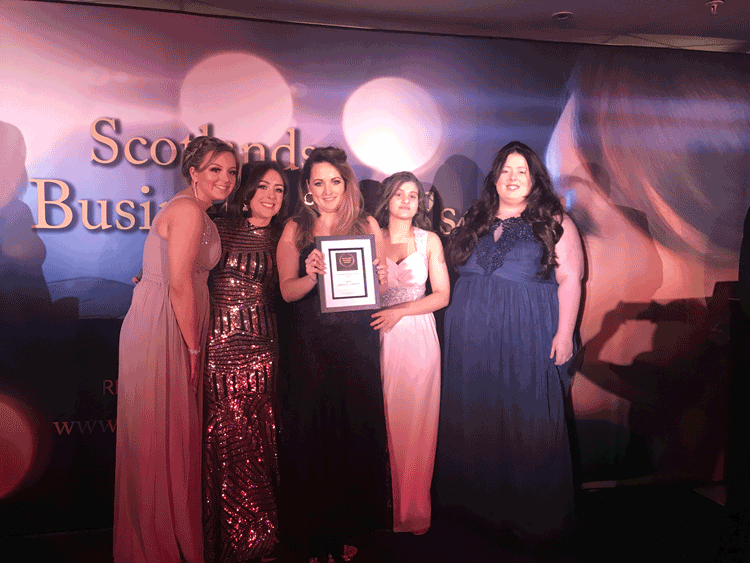 To your right you see our little team at the Scottish Business Awards 2018.